This provides vital information about how to increase our awareness and consciousness. It will keep you entertained while learning about the unconventional methods used to open our third eye. It is a powerful book that tackled a lot of information on things you need to know. All in all, beginners should get a copy of this. This audiobook is very informative and easy to understand. I think it is a good way to start learning about and practicing meditation. It keeps it simple enough to begin meditating right away. This book has taught a lot about harnessing the positive and effective energies in us. I enjoyed the detailed and easy to follow meditation practices and actually found the portal technique of awakening energy, super effective. 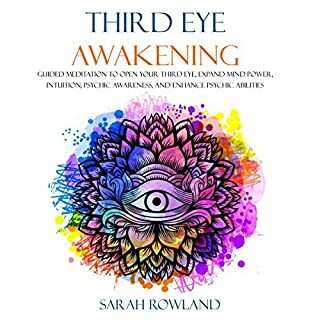 The author provides ample information on how to awaken and open our third eye; also complete details and information about the third eye. Explore the different techniques to open your.. This is such a wonderful and very informative book indeed! 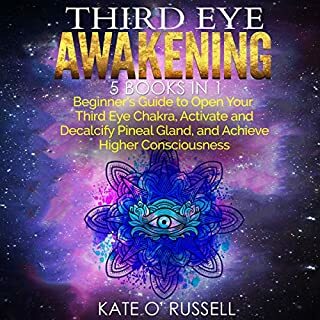 It is quite interesting because this audiobook presents and or provides different techniques to open your third eye and how to close it, these are both offered in this audiobook along with all kinds of informative information based around and connected to the third eye! The title of this audiobook caught my attention.. The title of this audiobook caught my attention which is why I got it. 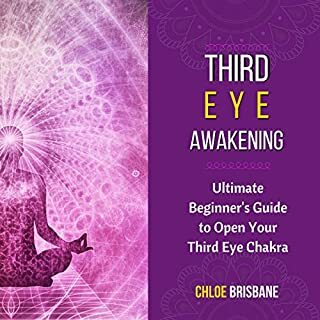 The book basically says everyone has the third eye in them which is an interesting idea. You can use your third eye to broaden your consciousness if you know how to use it. 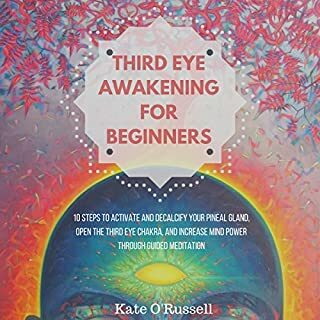 This book goes briefly into the importance of meditation and how to do it in order to open our third eye. This audiobook helped me open my third eye.. 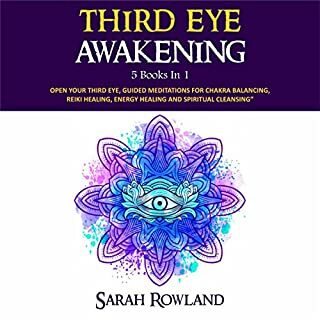 This audiobook helped me open my third eye, which I have been longing to do for quite a long time because of all the benefits it comes with. 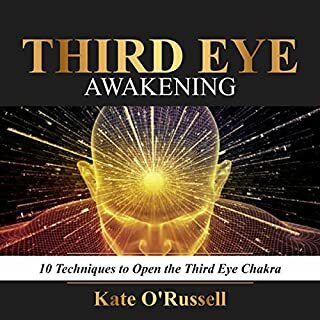 This audiobook has honed my intuitive skills too along with the opening of my third eye. The strategy described is very easy to follow and I got the results in a very short time. Would absolutely recommend it. If you're looking for a path of health and wellness, stop here. 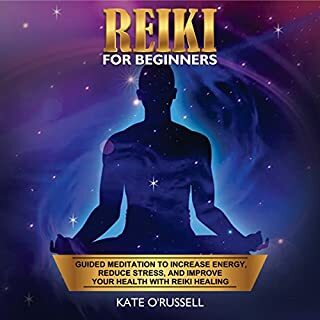 This audio book Reiki For Beginners takes you through a step-by-step explanation of what Reiki is and how it can help your health. This is an amazing audio book guide and anyone who is into Reiki should get a copy of this! 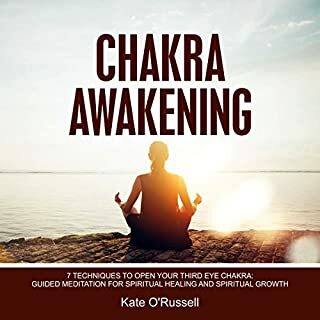 This is a phenomenal audio book for understanding chakras. Lots of useful information to apply quickly to your everyday life. It is so helpful as I explore how chakras function throughout my body. It not only provides through description of various chakra but also let us know how to open each one of them if they are blocked. 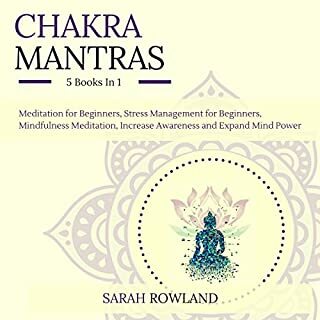 I will highly recommend this audio book if you want to get yourself familiar with chakras. 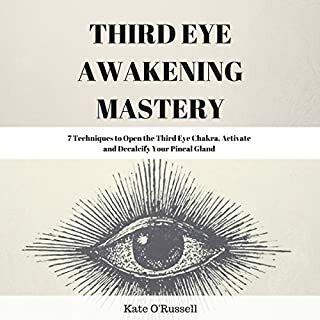 Opening the third eye towards cosmic consciousness requires devotion to connecting with the greater part of you that is the extension of cosmic consciousness. The third eye chakra is the sixth major energy center along the spine out of seven. It is located between the eyes in the middle of the forehead, above the throat chakra and below the crown chakra. So if you're looking for a good start, then you should get this audio book and start awakening them until you'll finally open them! I thought only gifted people who meditated for years had this ability. I was so wrong because I can assure you that after listening to this audio book will give you all the experience you need without spending years meditating as well as it'll educate you everything you need to know about the topic. I was really left with no words when I felt changed and like one with my whole body! Thank you so much Sarah Rowland for this and to the narrator who delivers well and narrates the book great!